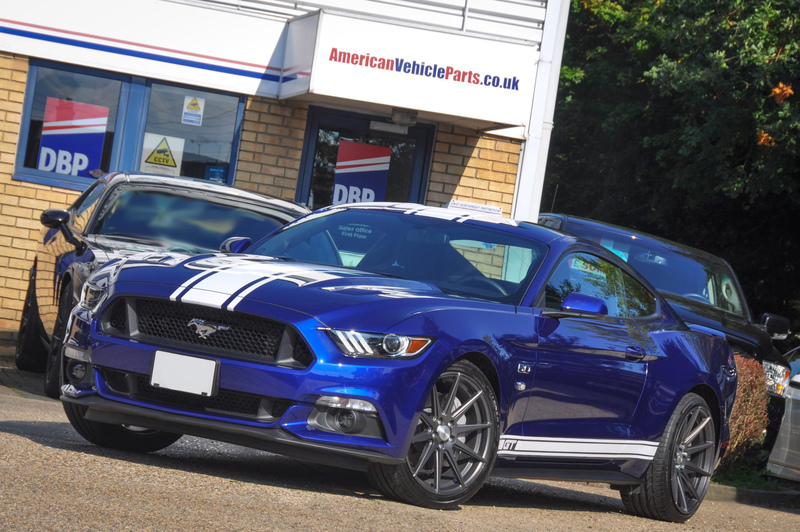 We have been importing and supplying new American vehicles in the UK for over 30 years. We offer a fast, efficient and friendly service to supply all makes and models of new American cars or American pickup trucks. These can be delivered to you anywhere in the UK or collected from our offices in Braintree, Essex. We provide full written quotations which include all modifications to the vehicles required to comply with Individual Vehicle Approval (DVSA IVA) requirements and we also complete the registration procedure on your behalf. All our vehicles are supplied fully prepared and our prices are “on the road” including number plates, valeting and fuel. Part-Exchanges are welcome and we offer a 3 year MBI warranty on all new vehicles. We are also Authorised and Regulated by the Financial Conduct Authority to arrange finance. We supply all models of American cars and trucks, the list below is just a selection. Please contact us for a quotation for any model not listed below. Discover the difference… The latest generation Dodge Rams are stunning vehicles providing unsurpassed ride quality from the new multi-link rear coil suspension or optional four corner air suspension and unrivalled power and performance from the new 395bhp Hemi. They provide a package that is hard to beat. We supply all models including Sport, Laramie, Longhorn and Limited and Ram trucks are available in Crew, Quad or Regular cab configurations. We can fit Prins LPG (where the vehicle runs on petrol or LPG) and we also supply so the Ecodiesel 3.0 Litre Turbo diesel. U.S. News named the Ram 1500 the Best Full-Size Pickup for the Money, with the best combination of positive reviews and long-term ownership costs in its class. 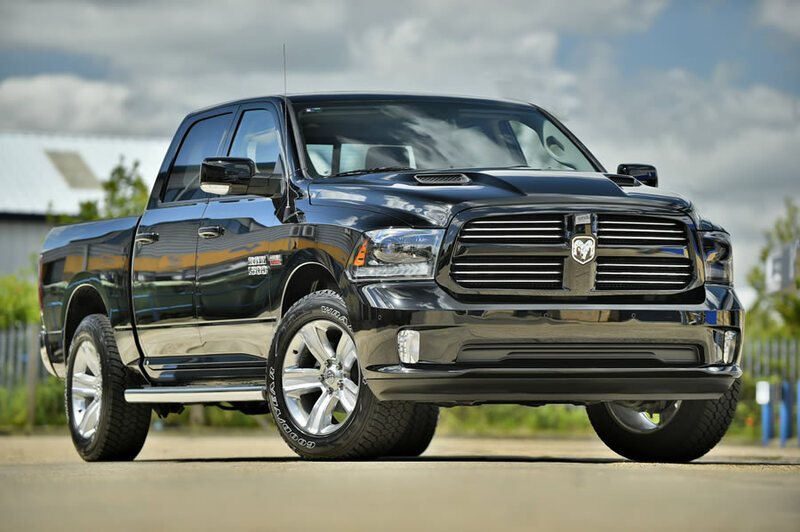 Ram trucks have also been named Motor Trend magazine’s Truck of the Year five times. Contact us for more information, for a brochure, quotation or to arrange a demonstration. 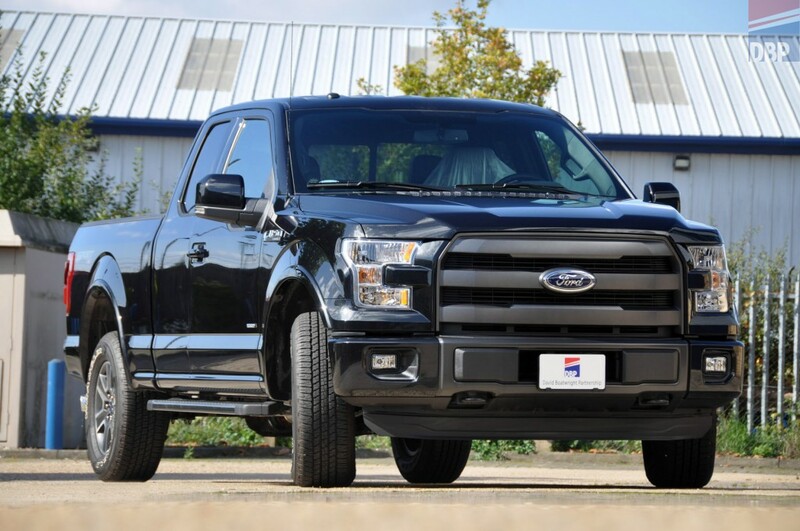 We supply all models of the Ford F-150 and also F-250 and F-350. We often keep the Platinum or Lariat F150 models in stock and can supply any specification or colour to order. The new F-150 is aluminium bodied and available with 2.7 or 3.5 litre V6 Turbo “Ecoboost” engines or the 5.0 V8. Available in Super-cab and Super-crew versions and with a huge list of available options, contact us to discover why the F-Series is America’s best selling vehicle. We supply the complete range of the beautiful Challenger line up, from the V6 models through the RT and SRT models up to the ultimate modern muscle car the Challenger Hellcat. 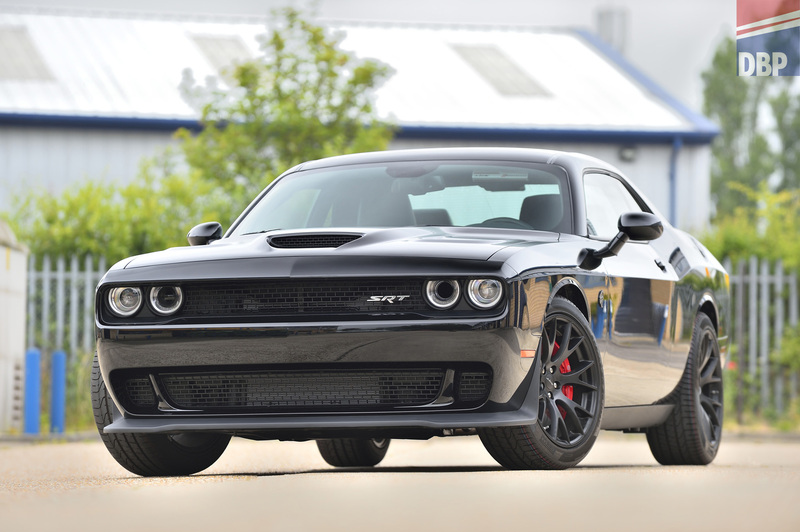 The Hellcat is the most powerful muscle car ever built with 707BHP on tap. Even with that huge amount of power the Hellcats are still easy to drive with a host of electronic features including the now infamous “black key / red key” system. We supply Challengers with EU/UK navigation, and LED light conversion maintaining the iconic Challenger looks. As with all our new vehicle sales we provide complete after sale backup including genuine service items, parts and Chrysler diagnostics. The Challenger is the perfect blend of old-school muscle car styling with modern day technology and reliability. The new generation Cadillac Escalade is the ultimate American iconic luxury vehicle. 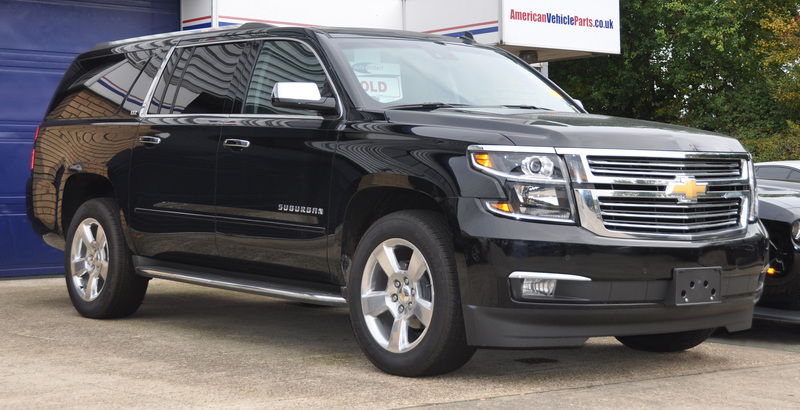 Both the Escalade and Escalade ESV offer a perfect combination of sophistication, functionality and technology. Created with craftsmanship not seen in other SUVs, the refined lines and features make one thing immediately apparent – it is first and foremost a Cadillac. 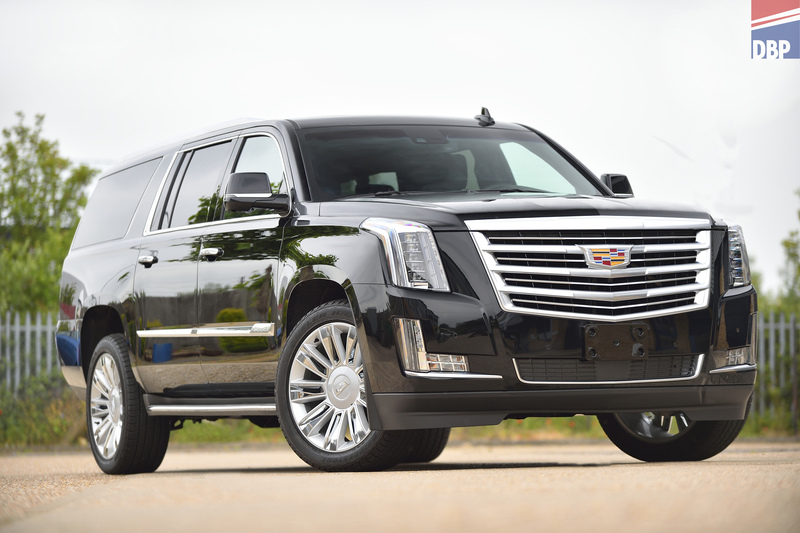 The Escalade host of features including the use of Bose® Active Noise Cancellation. The Bose® technology actively monitors cabin noise and sends out non-audible frequencies through the speakers to reduce powertrain sounds, Hand stitched leather upholstery, Head up display, heated and cooled seats, blind spot warning and 360 camera system are just some of the features found on these luxury vehicles. Chevrolet Tahoe is the full-size SUV with the capability to do whatever you set your mind to. Inside Tahoe, the centre console is large enough to fit a laptop computer, and the 8-inch diagonal colour touch-screen slides up to reveal a lockable space to help secure your valuables. When you’re outside of the vehicle, an optional sensor under the rear bumper lets you open the lift-gate with a gentle kicking motion when your hands are full. 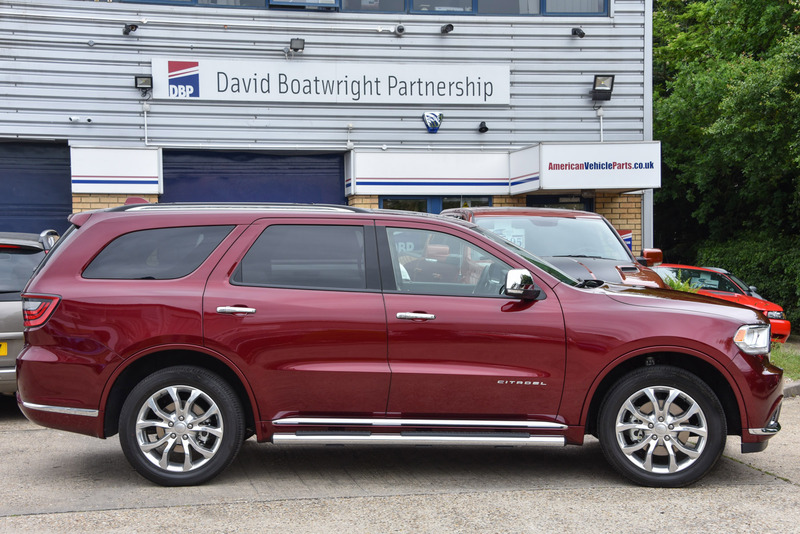 The Tahoe is a great vehicle, please contact us for more details or quotation. The new Mustang S550 – All Legend – No Compromise. With up to 12 month waiting list for the RHD models we can offer quick delivery on LHD vehicles and will be pleased to offer quotations for any colour and specification. The purists will want American cars in the same configuration as they are in America. 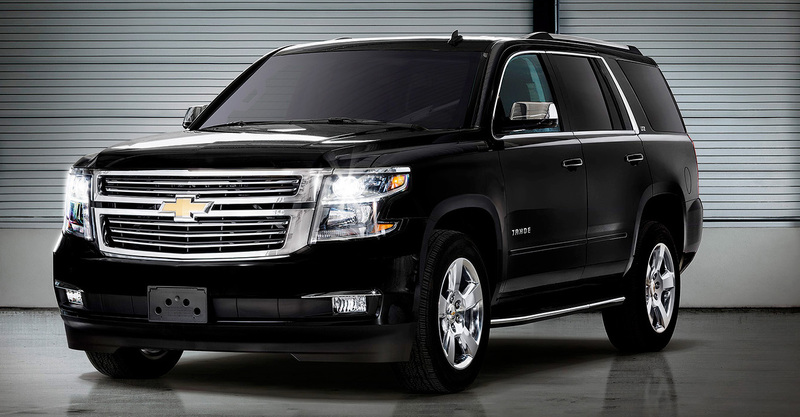 The Chevrolet Suburban was designed to make an impression. A sculpted and athletic exterior gives this large SUV a commanding presence, while the interior offers sophisticated style and comfort without sacrificing versatility. This is a full size SUV and the huge amounts of space within which is enhanced with sumptuous interior fitting and levels of specification. 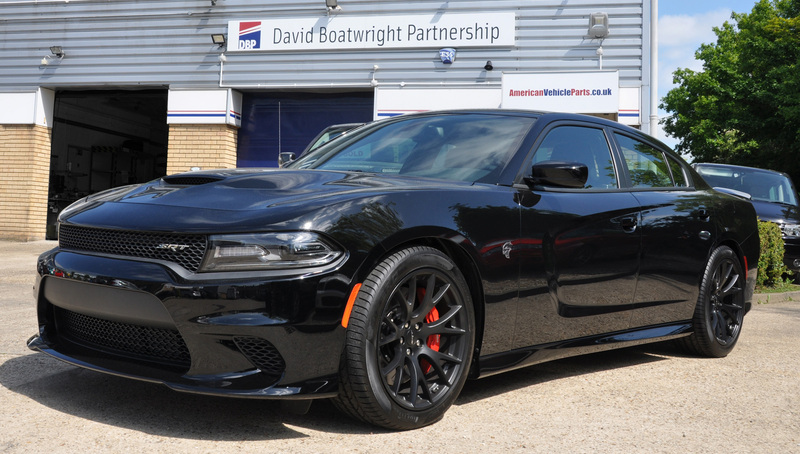 The new Dodge Charger is a stunning vehicle available in various engines sizes from V6, V8 Hemi through to the most powerful saloon car ever built: The Dodge Charger Hellcat. We supply all specifications please contact us for further details. 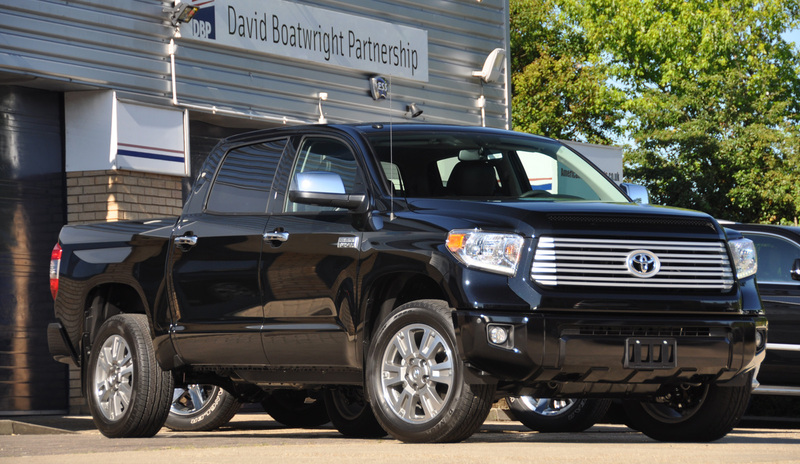 The Toyota Tundra is Toyota’s full size pickup built in Texas and equipped with a 5.7 Litre V8 engine and a variety of trim styles. Available in regular cab, Extended cab and Crew Max versions there is a style to suit every requirement. Please contact us for further detail or a quotation. The Corvette Stingray has been an American icon since 1953. The latest model sets the bar higher than ever before. Exacting beauty and performance the Stingray is a perfect driving machine, born from brilliant engineering and precision performance. Its aggressively sculpted exterior is a statement of intent; its driver-oriented cockpit is a creation of purpose. Every element of the new Corvette Stingray makes it the quickest, most powerful, most refined Stingray ever made. The Dodge Durango comes with seven seats and up to 84.5 cubic feet of cargo space. The Dodge Durango is rugged enough to handle any adventure whilst remaining refined enough to keep life inside comfortable. The Dodge Durango also packs a full-size punch with state-of-the art features that could make any home entertainment system jealous. Available in several trim levels from SXT through to the Citadel and RT, please call for more details or a quotation. The powerful presence of the new Sierra light duty truck is built on a foundation of Professional Grade engineering to deliver confidence and refinement. 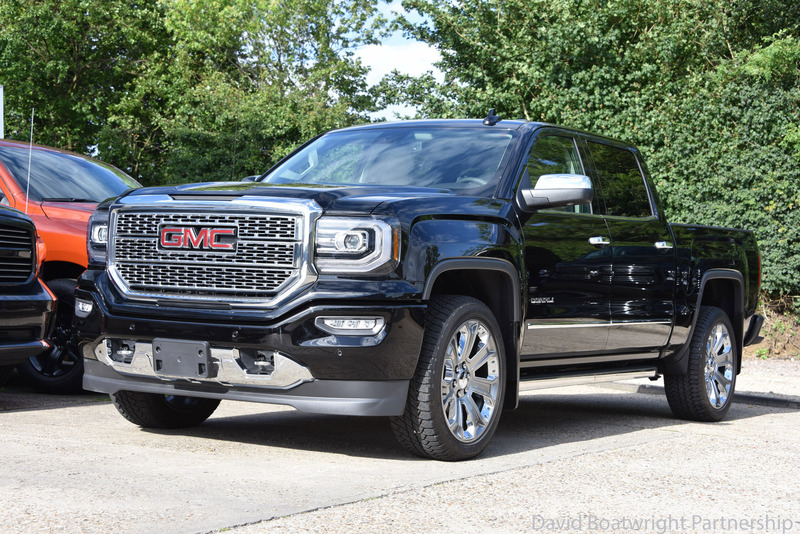 The GMC Sierra boasts large, bold grille design and a distinctive cutout above grille. GMC claim that with one look inside the 2017 GMC Sierra 1500 pickup truck and you’ll see that they have elevated the standard for truck interiors. With premium available materials, like the soft-touch instrument panel with real aluminium trim, available technologies like 4G Wi-Fi Hotspot,3 superior comfort, and advanced safety features, the Sierra’s crafted interior is the complete package. Style meets substance inside the 2017 Sierra 1500 light-duty truck. From the exceptional storage space in the center console, to comfort and convenience features, Sierra truly has no peer. Please contact us for details or a quotation. UK delivery can be as low as 3 weeks from order – on most vehicles – it is between 4 – 6 weeks from date of order including all IVA preparation and UK registration. We can also factory order any colour and model of American vehicle, delivery times are then usually around 3 months. We have been established here in the UK, supplying American cars and pickup trucks for well over 30 years. We have an extensive UK based parts department and excellent workshop facilities. We also take part-exchanges and offer full finance facilities. We are Authorised and Regulated by the Financial Conduct Authority. We are founder members of The American Import Agents Association. Please call us for a written quotation to supply any model of new American vehicle and we will be pleased to offer advice and make your purchase as easy and as pleasant as possible.